by Poul Anderson, 1970, 189 pages. TLDR: 4 out of 5 for a mind bending trip about a time bending trip. The story follows 50 crew members who embark on a historic journey to investigate and possibly colonize a distant star, Beta Virginis, 32 light years away. They plan to accomplish this by going fast - accelerating at between 1 and 3G to the half-way point, and the decelerating the rest of the way. The journey will take years for the crew, who will take advantage of longevity treatments. But due to time dilation, hundreds of years will pass on earth, so they must leave everything they knew behind to make the trip. Even if they return home afterward, Earth will be totally different and everyone they knew long dead. During the trip, though, something happens and they lose the ability to decelerate, thus making the original mission impossible, and the crew must come up with a 'plan B'. 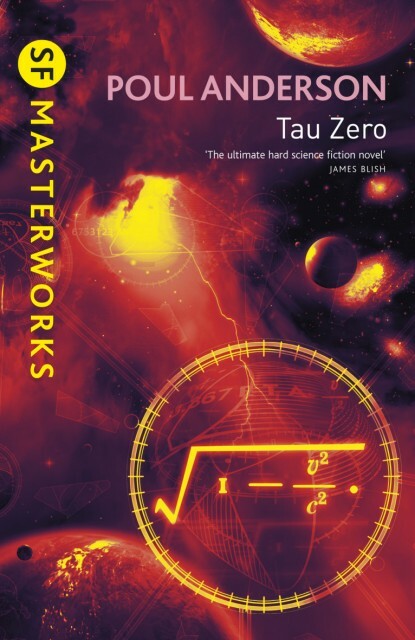 There are two aspects to this book - the hard SF aspect, which is all about speed and mass and general relativity, and the social aspect which deals with how the crew interact in their confined setting and react to their string of problems. The novel is most successful when dealing with the hard SF aspect. It was a groundbreaking work which would go on to inspire other SF authors such as Niven and Vinge. The social aspects are less satisfying, and much of the time is ironically spent watching characters wring their hands in worry about how to overcome boredom. But that said, there are some interesting societal issues that come up, and I found the interaction between the three leaders on the ship (captain, first officer, and constable) to be pretty interesting. I enjoyed the constable's theory of how a system with a lovable remote authority and a detestable near authority would work. Recommended for fans of hard SF, and slightly less so for fans of social SF. The book is fairly mind-bending and quite dense, so although it rings in at only 189 pages, if actually feels like a longer book. I suppose that's word-dilation in effect - a remarkable achievement when you think about it! 4 out of 5 stars for mind-bending SF, succinctly told. I read this book a long time ago, and agree with your assessment. The physics are really interesting, the characters, not so much. Anderson can write a good character, so it's not SF writers disease. Have this on my to-read list. The synopsis sounds a bit like James Blish's brilliant short story 'Common Time' but there the physics and the character's mental state are metaphors for each other which is what makes it such a rich story.